Skeletal malformations are a common result of gene changes (mutations). In this condition, the most serious problem results from underdevelopment of the chest, specifically the rib cage. This leads to breathing difficulties which can be fatal in infants. However, there is a wide range in the severity of the deformity and many individuals also live to adulthood relatively free of symptoms. Severe chest deformities may be apparent at birth when the rib cage is narrow and sometimes bell-shaped. For mild deformities, assisted ventilation may be sufficient acutely but in some individuals the lung tissue is not fully developed and even urgent intervention may not be sufficient. Other signs are short limbs, short stature, and short digits, especially in the feet. There may be an extra digit next to the little finger. Some patients develop cysts in the kidney and liver as they get older. Others have scarring in these organs and in the pancreas. A minority of individuals has a disease of the retina (the tissue in the eye that responds to light) and have symptoms of night blindness and loss of vision. This is a highly variable disease and most likely there are multiple gene changes (mutations) responsible. 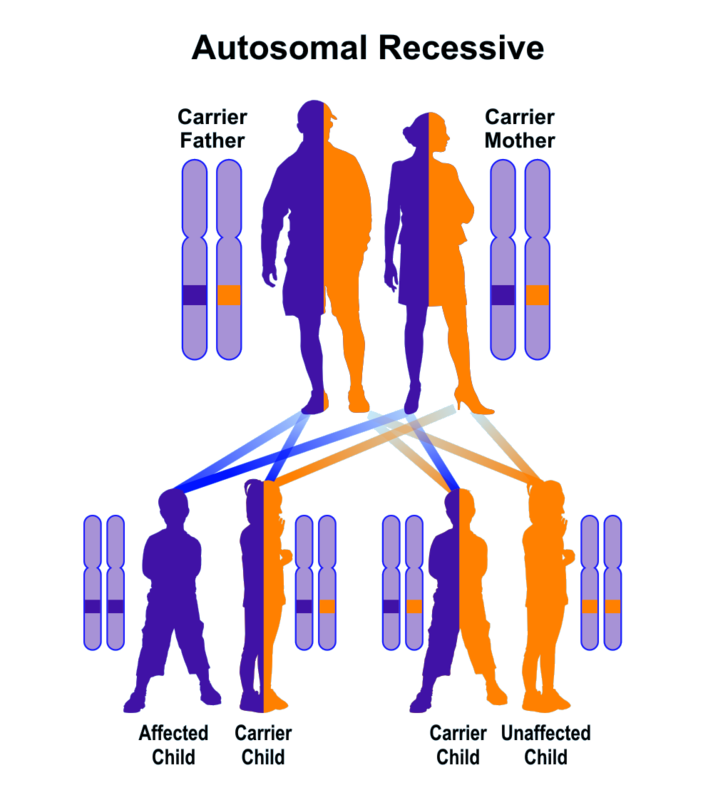 Because the disorder is not generally transmitted from parent to child directly, and because many parents are related to each other, autosomal recessive inheritance seems most likely. The parents are not clinically affected since they presumably have only one copy of the mutation but if each passes on the mutation, there is a 25% risk that each of their children will inherit the two changed copies that cause the condition. The prognosis is highly variable due to the wide range of clinical deformities. Infants and young children may succumb to the respiratory limitations but others live relatively symptom-free into adulthood. In fact one child presented to the doctor complaining only of eye problems while remaining otherwise healthy. The diagnosis depends upon recognition of the chest deformity and limb deformities during infancy. However, all patients need to be monitored for liver and kidney disease which usually develops later.